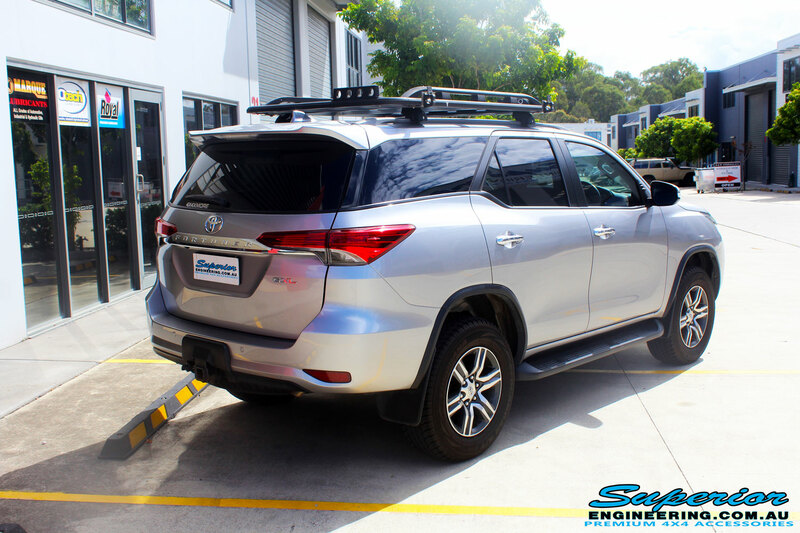 This 200 Series was recently fitted with none only but our quality Superior 2″ Inch Remote Reservoir Lift Kit with King Soil Springs and a Airbag Man Coil Air Helper Kit whilst on the hoist. 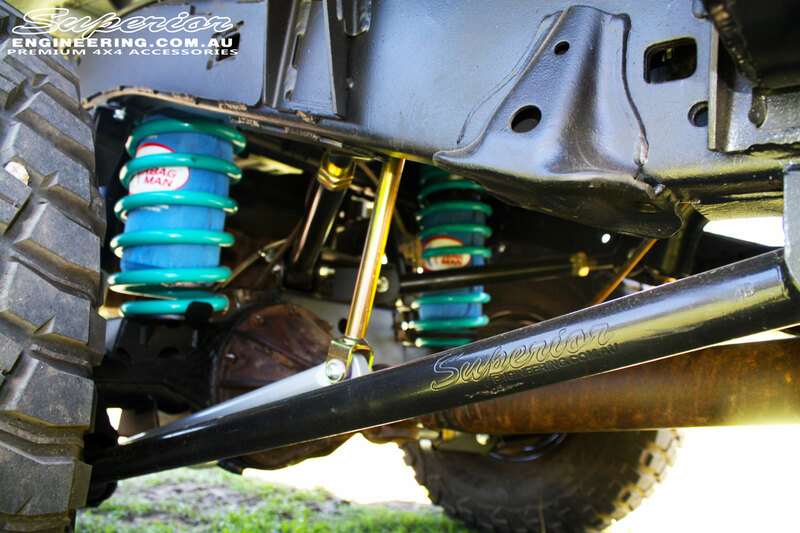 The Remote Reservoir kit uses top of the range Superior 8 Stage Monotube Shock Absorbers, Front Struts & a Adjustable Rear Panhard Rod. 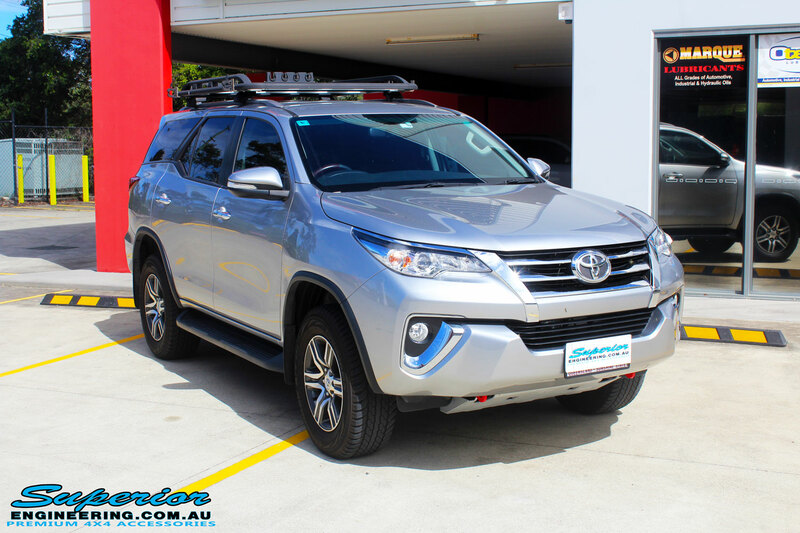 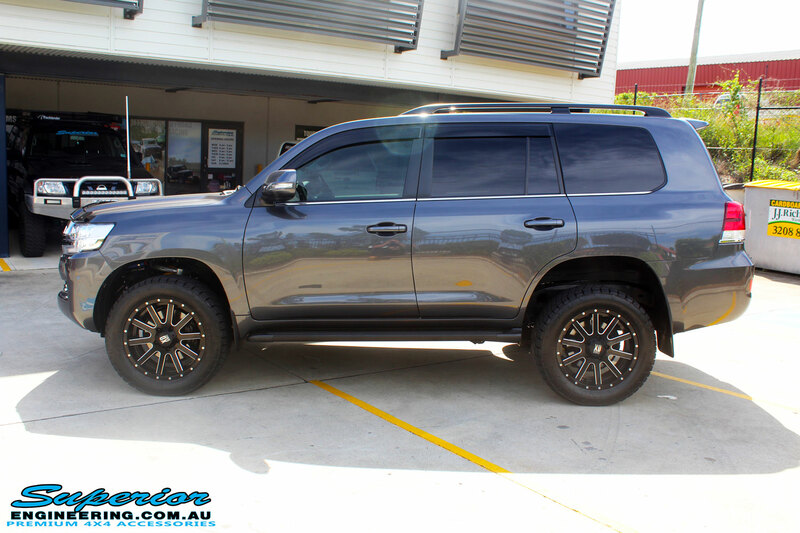 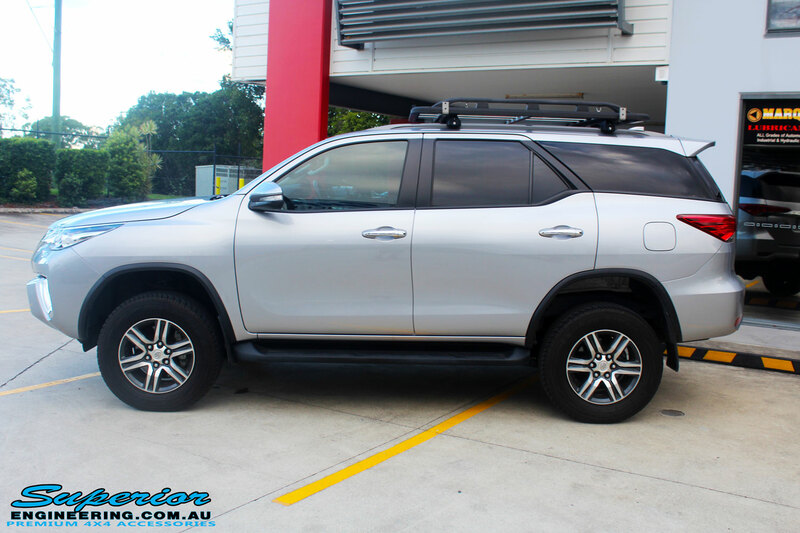 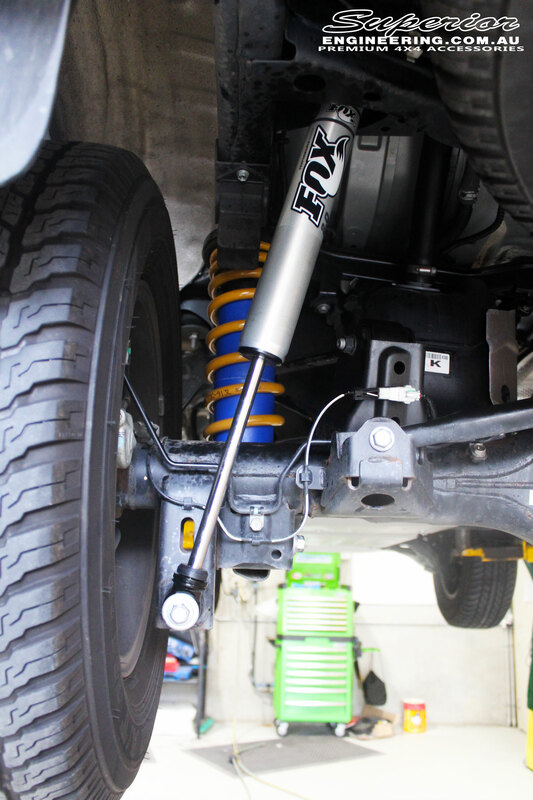 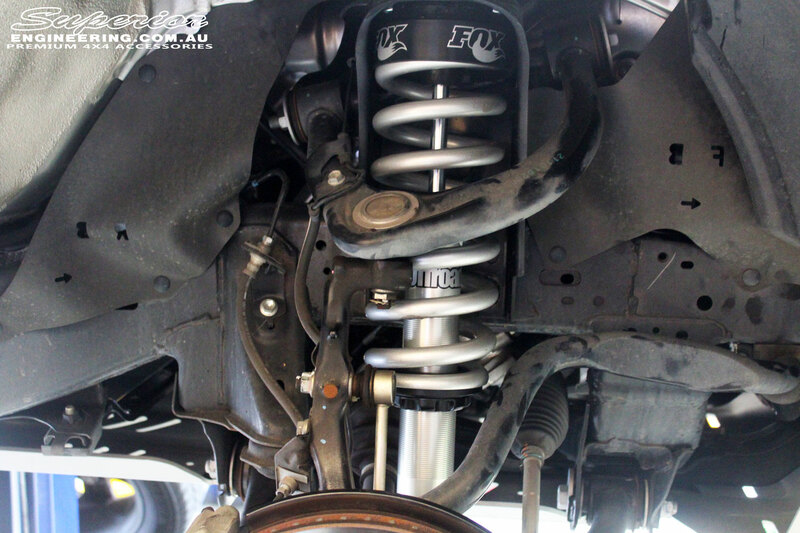 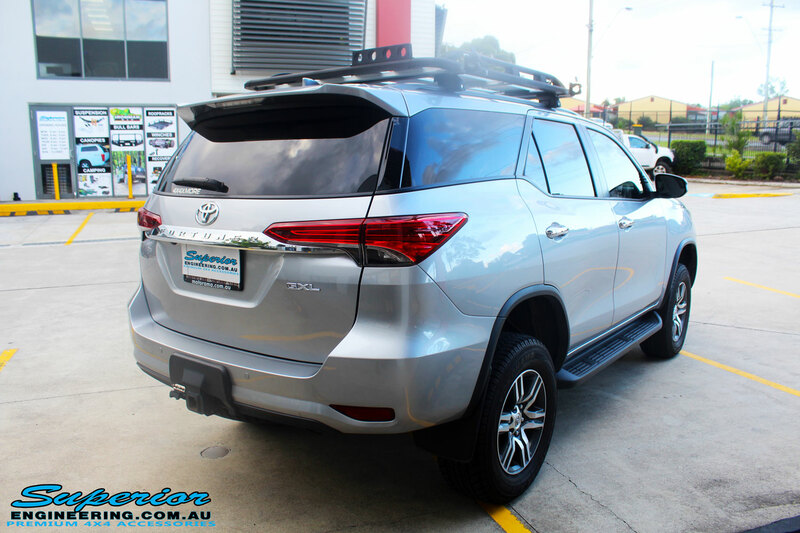 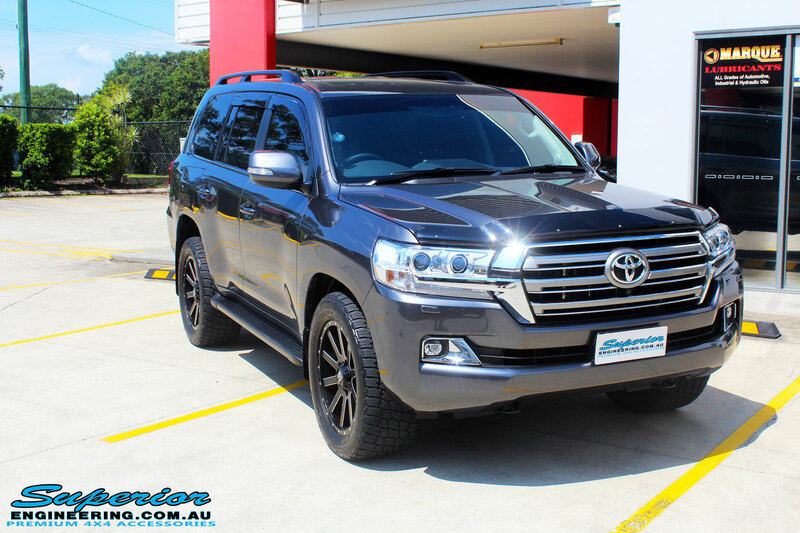 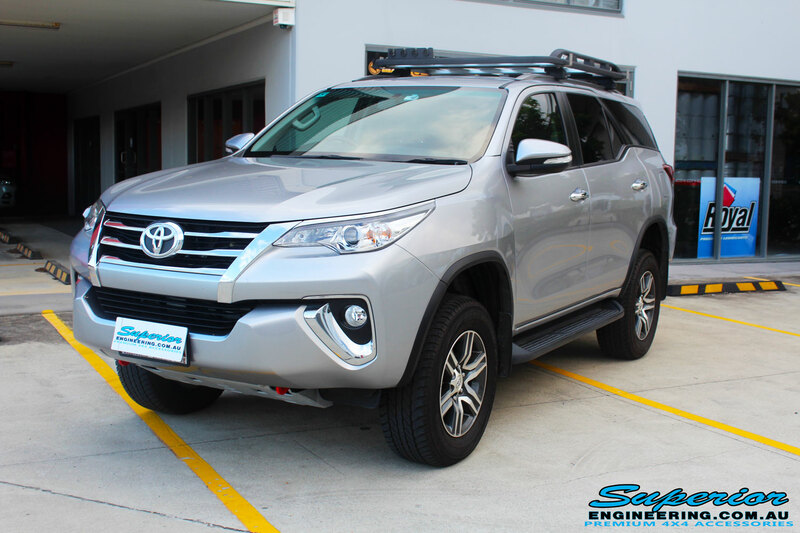 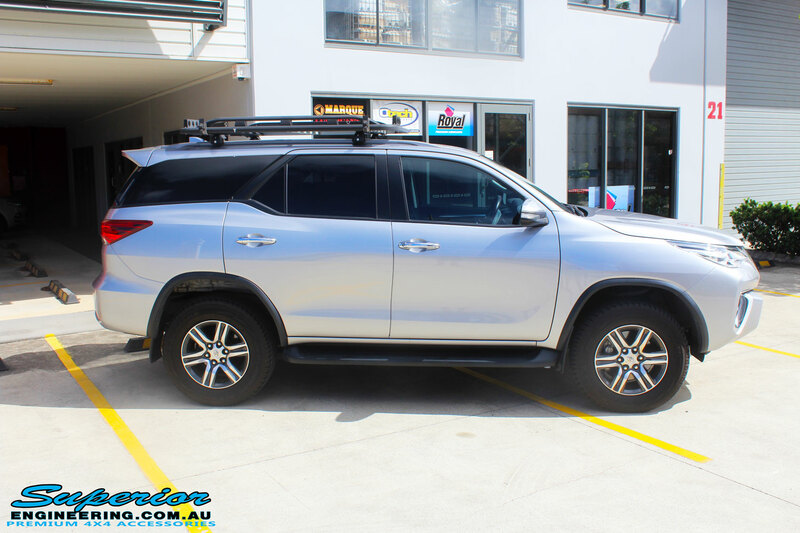 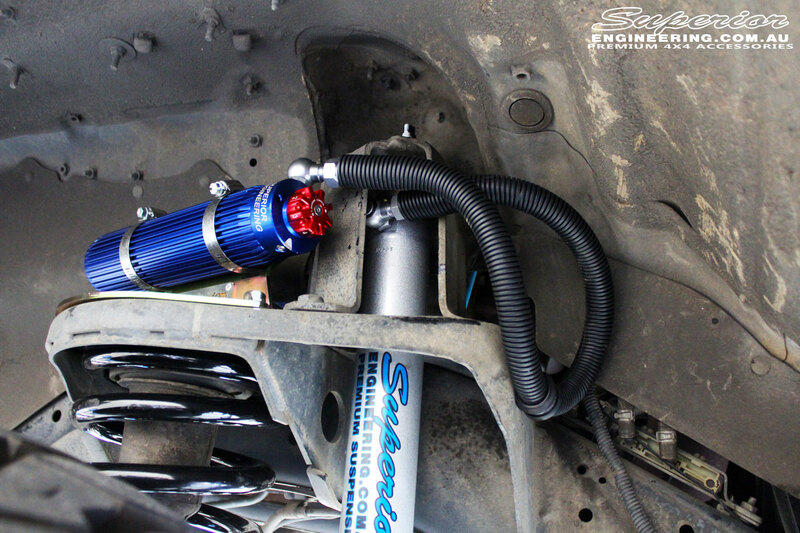 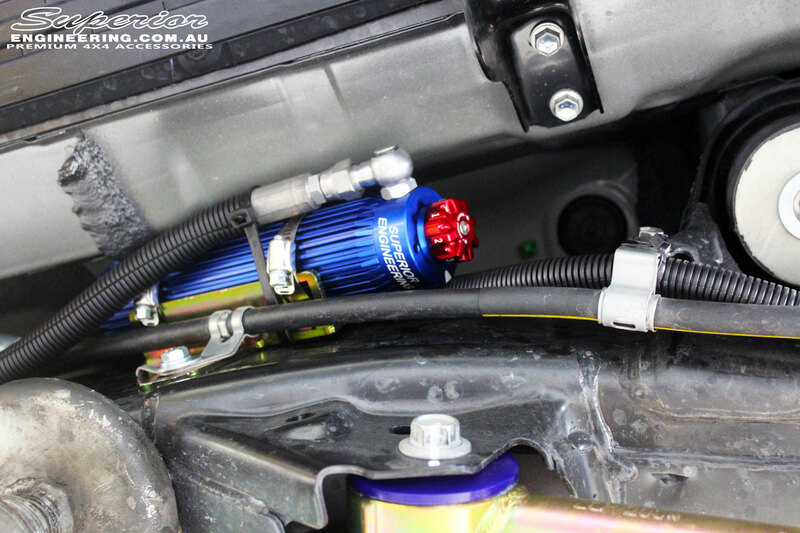 Superior Engineering has put together a Fox 2.0 Performance Series IFP 2″ Inch Lift Kit to suit the current model Toyota Fortuner with Airbag Man Coil Helper Air Kit. 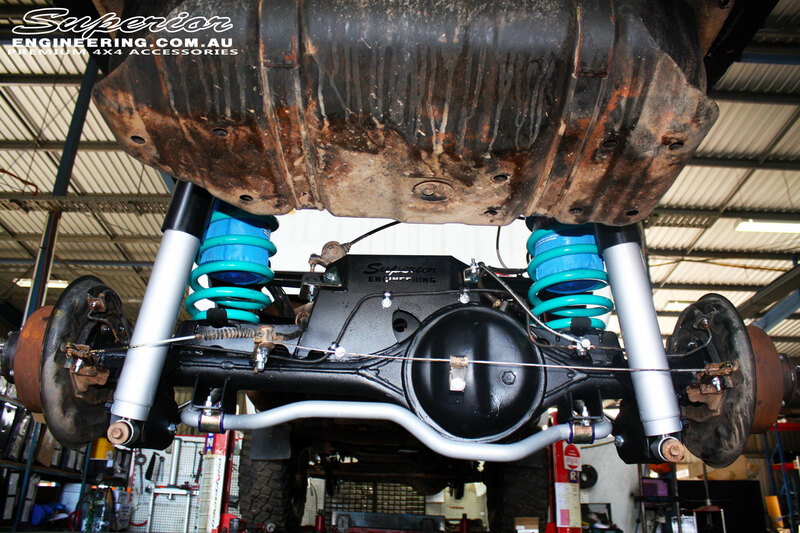 NOTE: The fitted product listed above was an optional extra and not part of the Lift Kit! 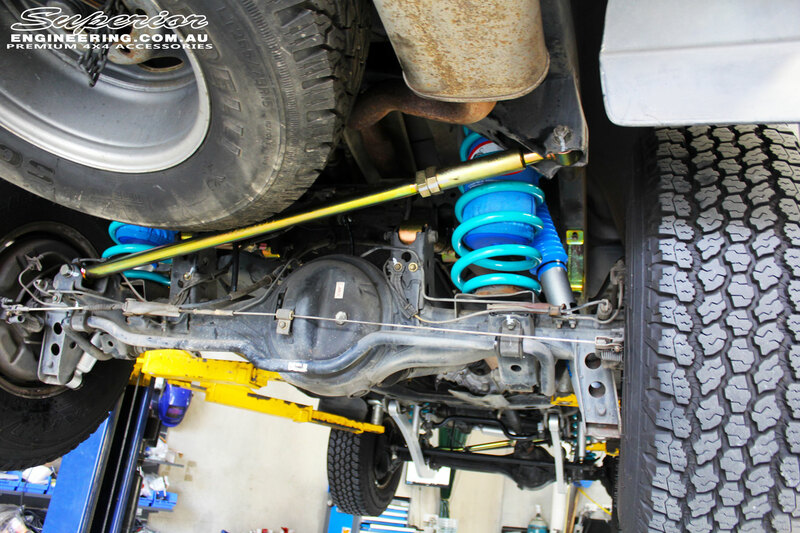 Check out the lift this 105 has now gained with fitting this Superior Nitro Gas 3″ Inch Lift Kit with Airbag Man 3″ Coil Air Kit. 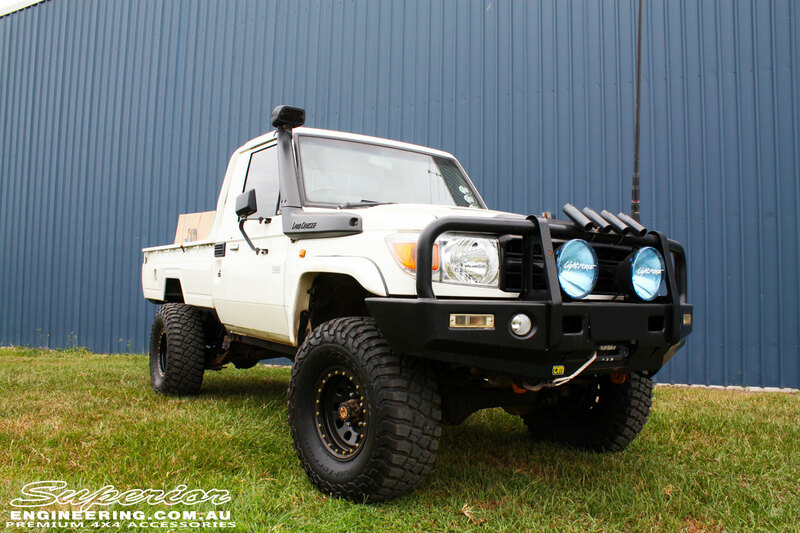 All ready for the those weekends away either on the bitumen or dirt! 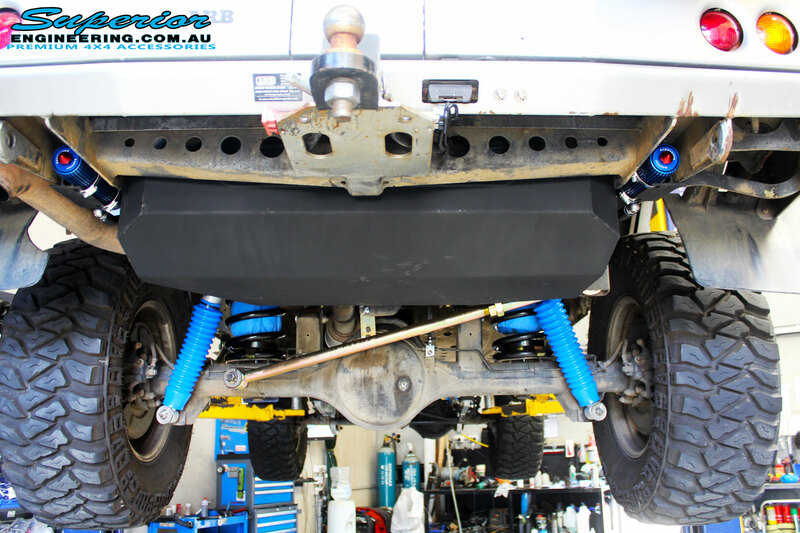 NOTE: The fitted products listed above were optional extras and arent part of the Superior Nitro Gas Lift Kit! 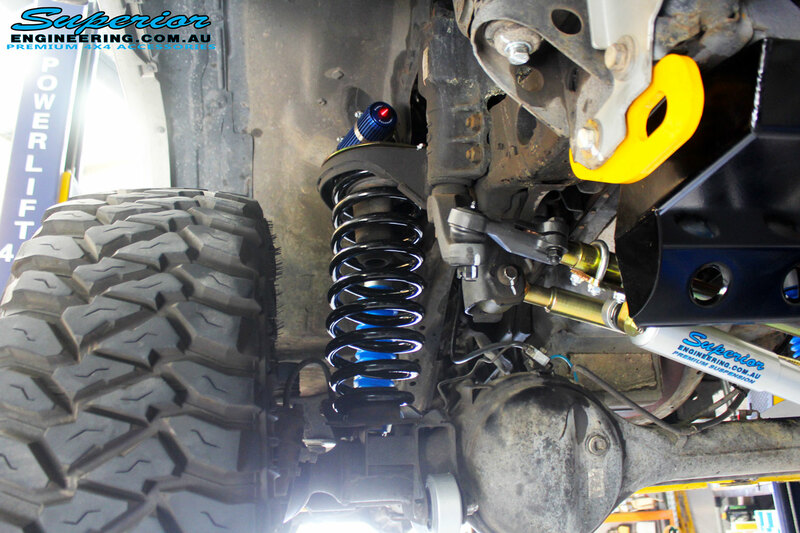 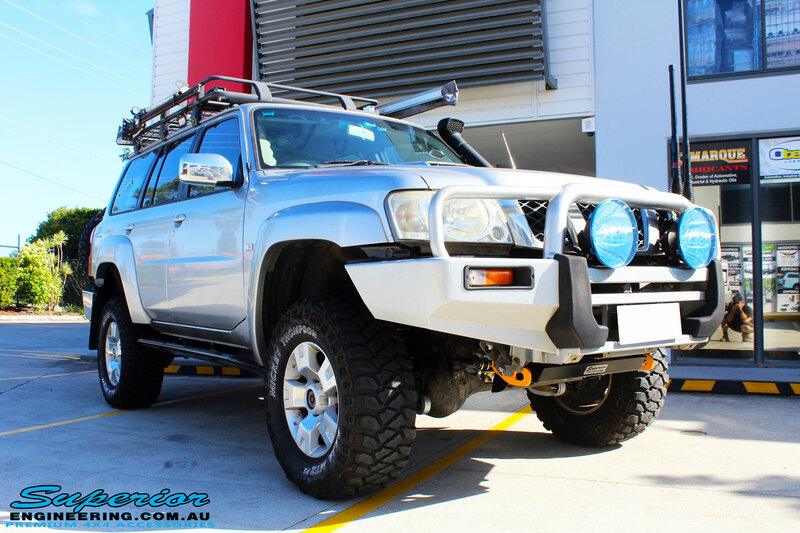 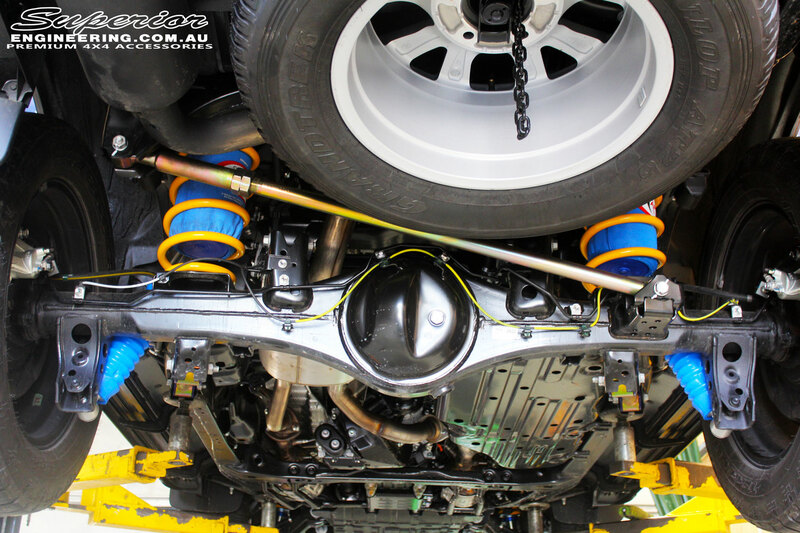 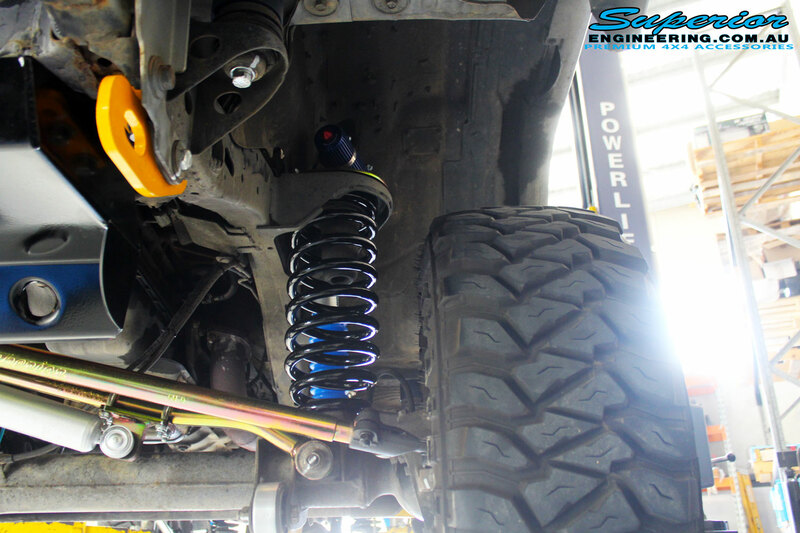 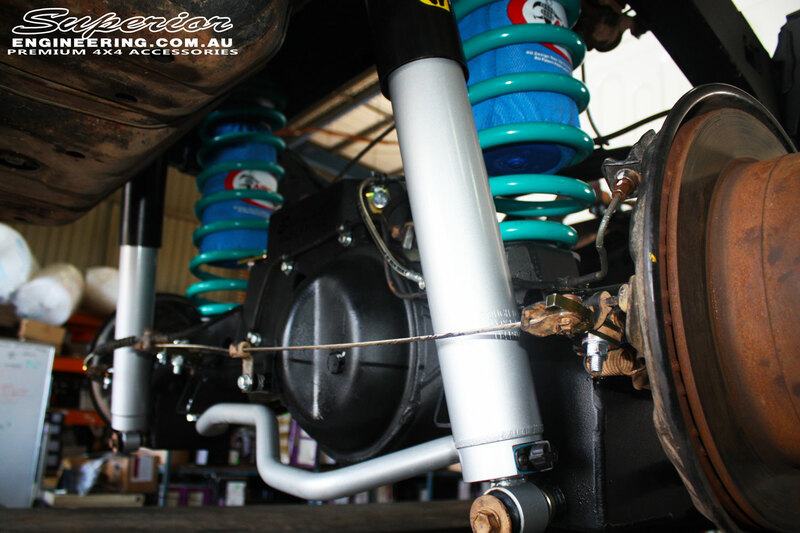 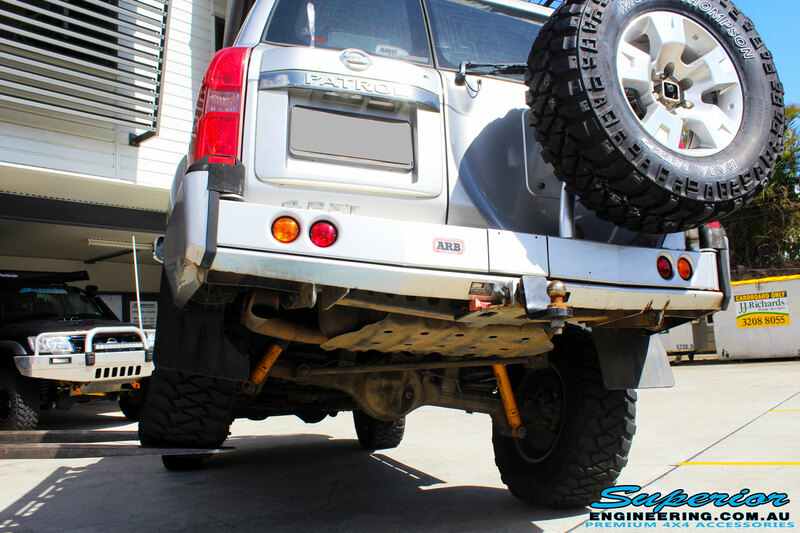 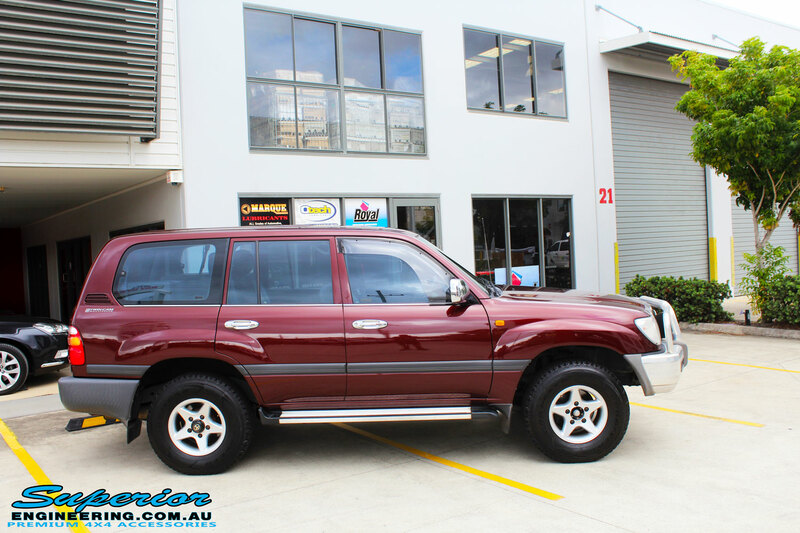 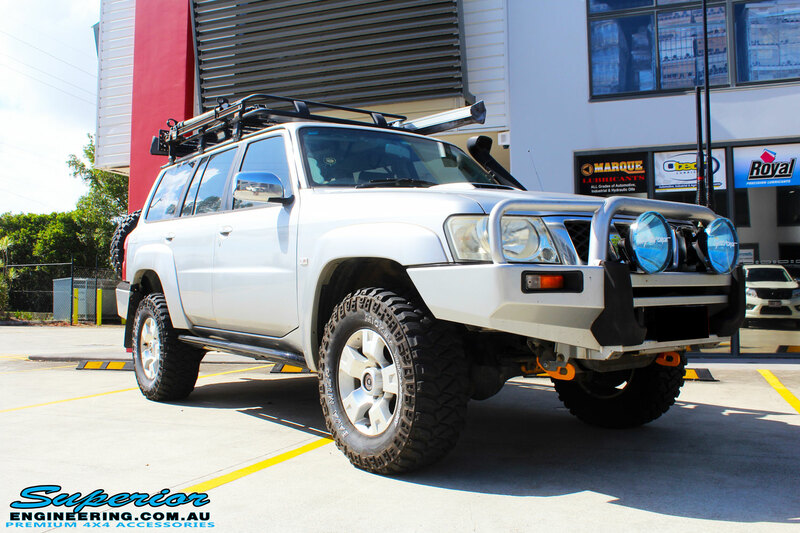 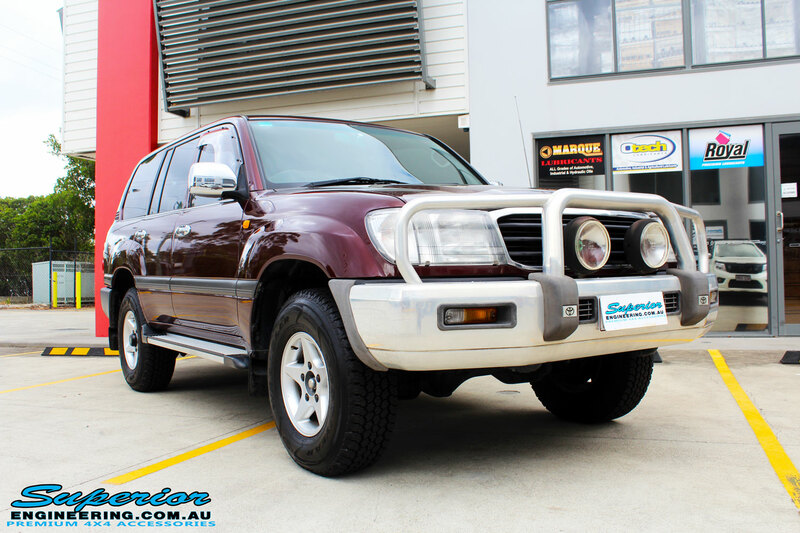 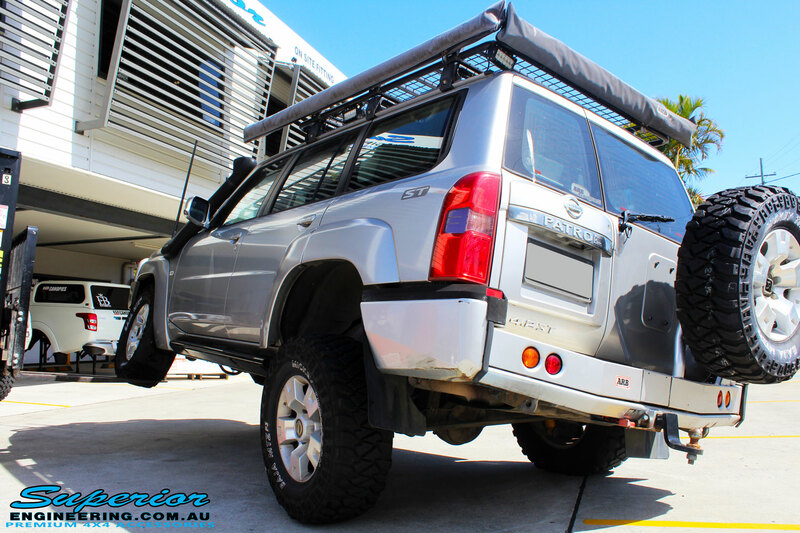 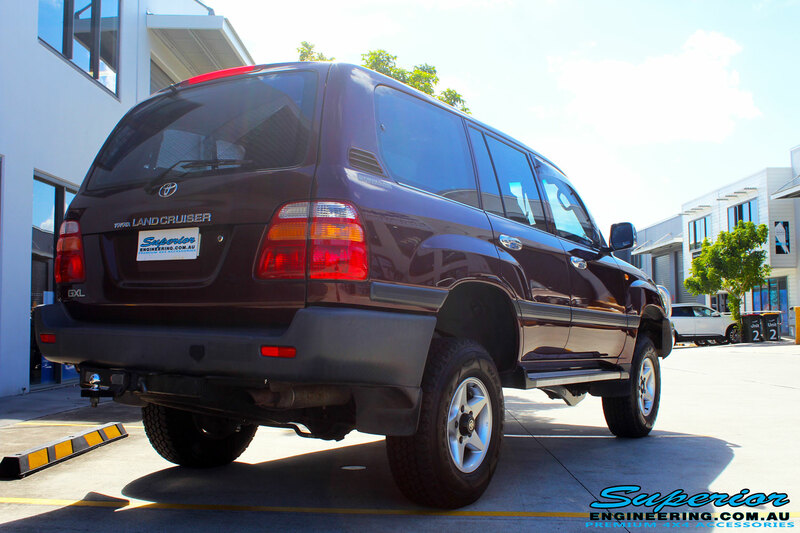 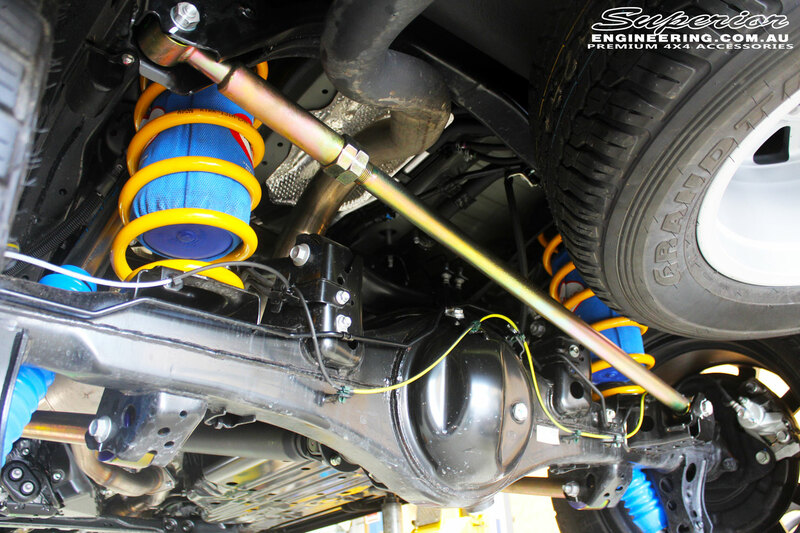 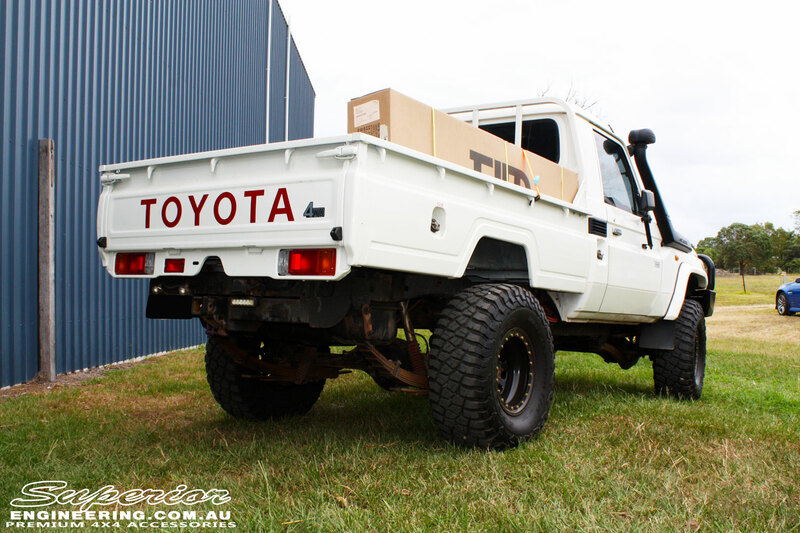 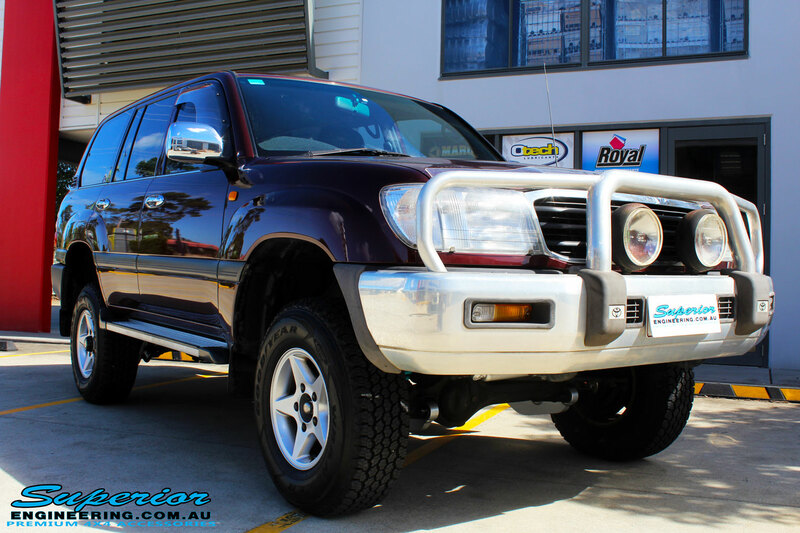 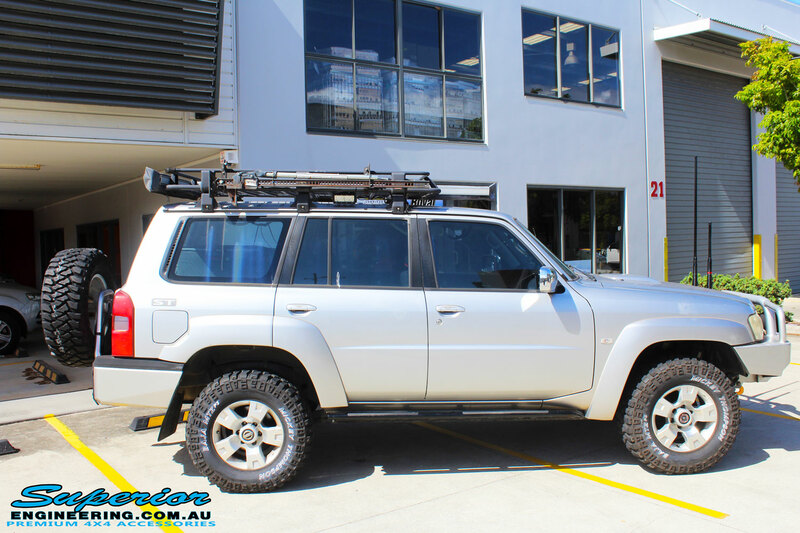 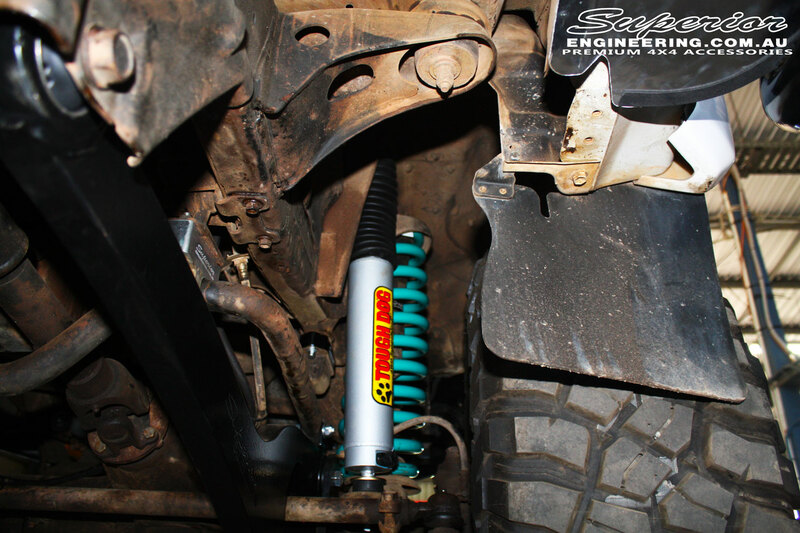 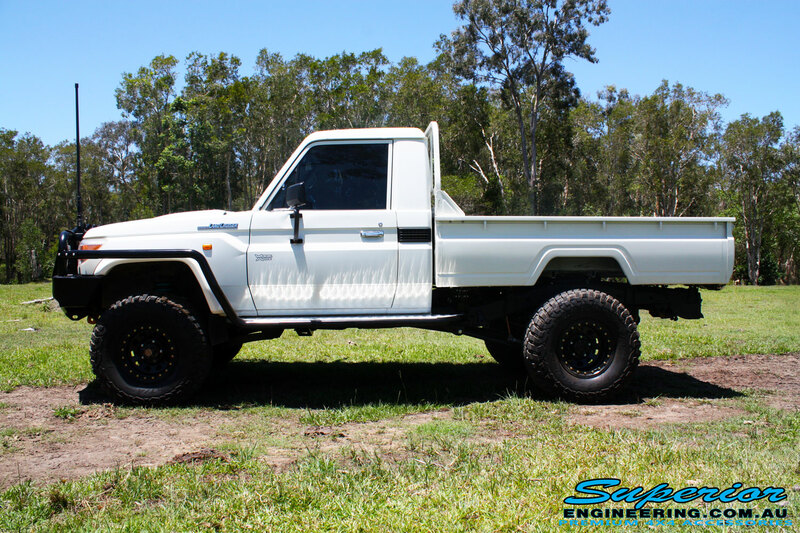 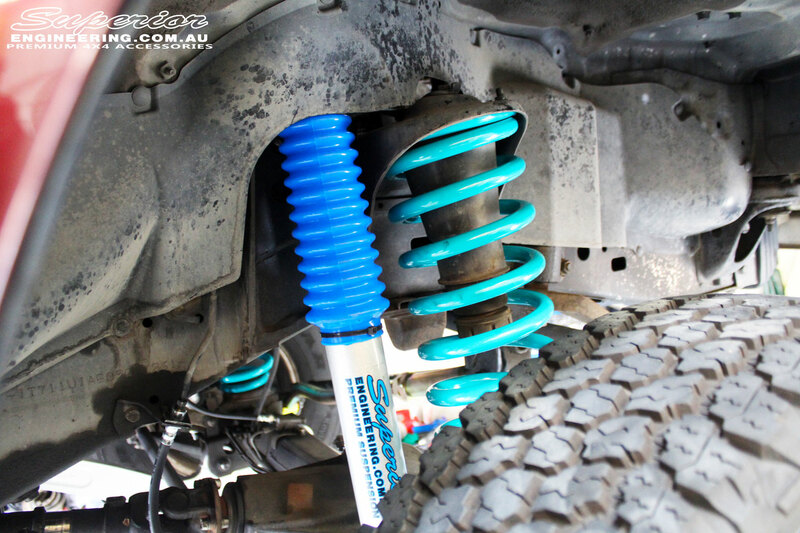 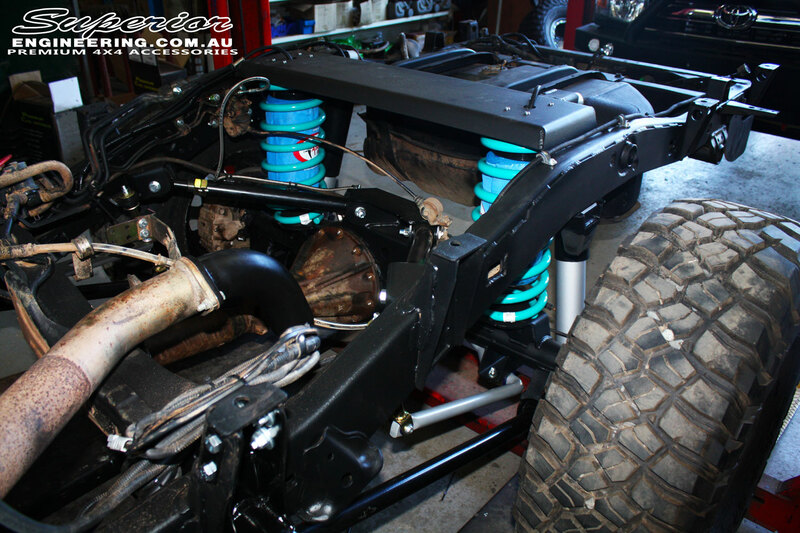 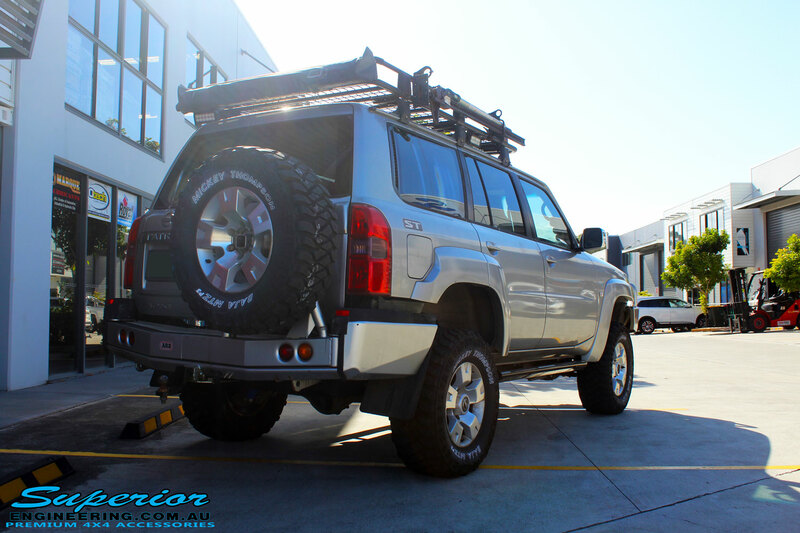 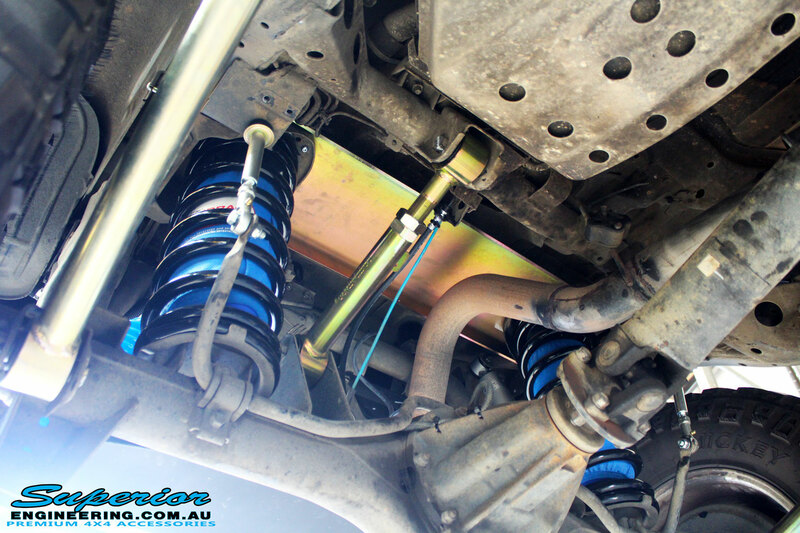 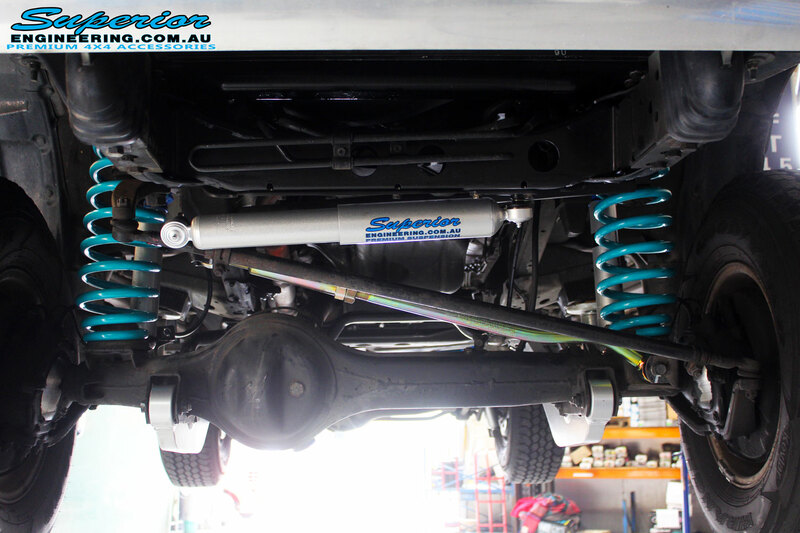 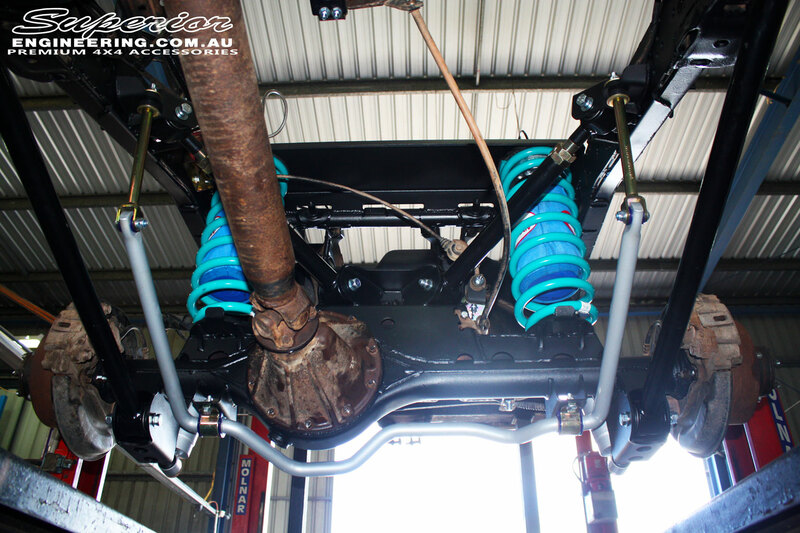 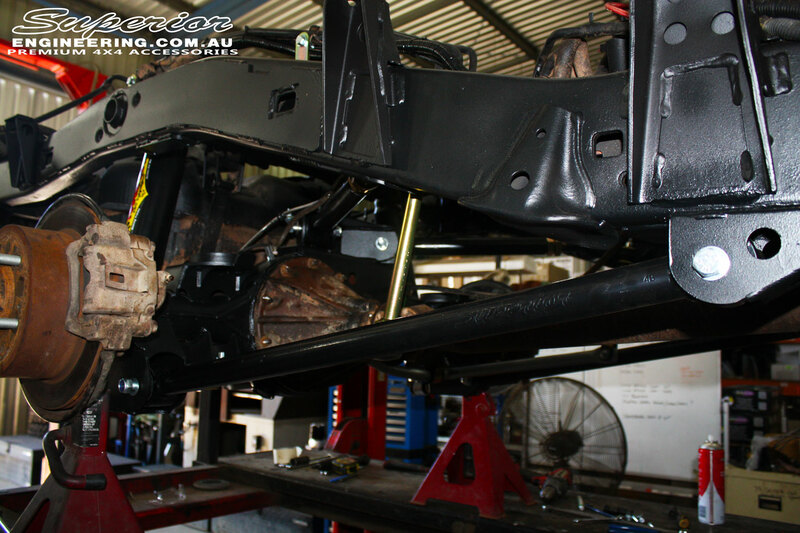 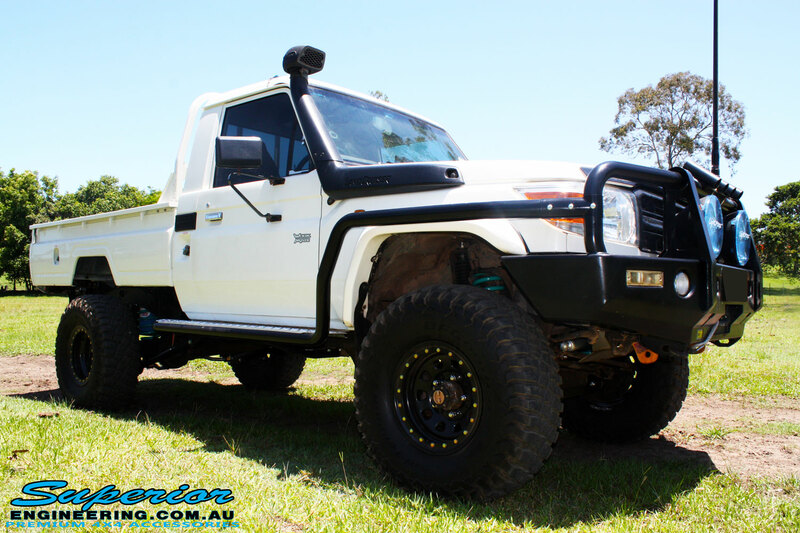 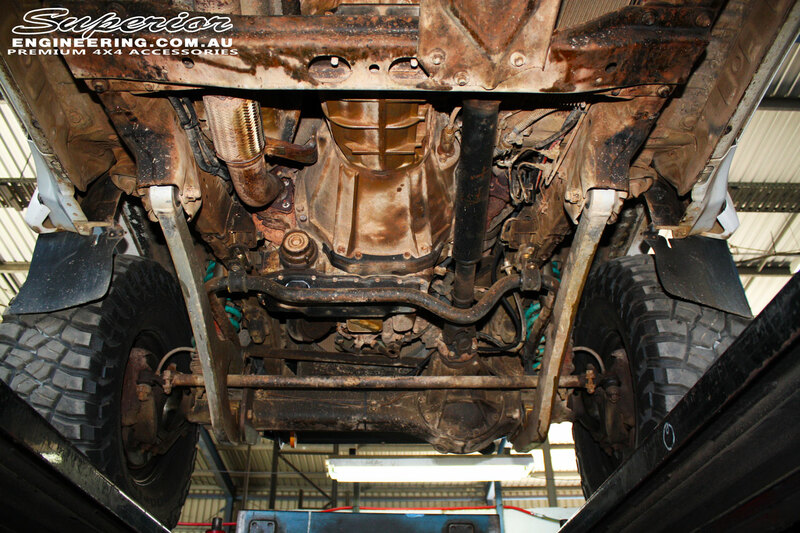 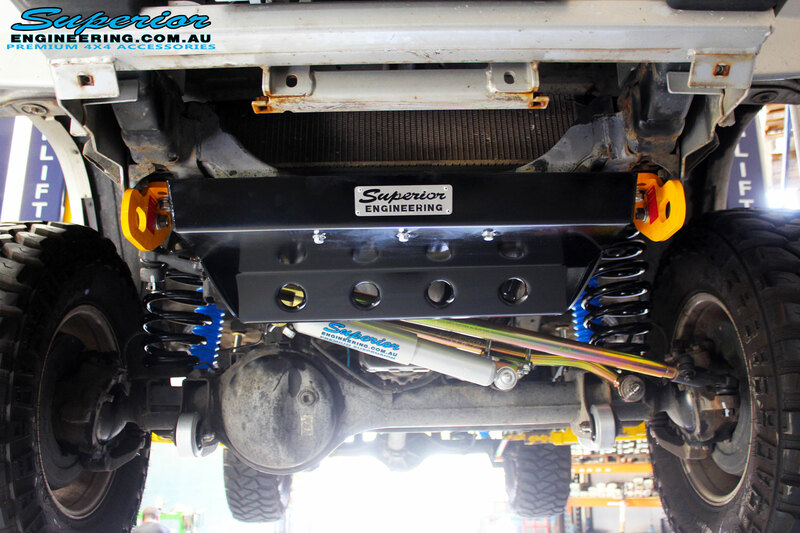 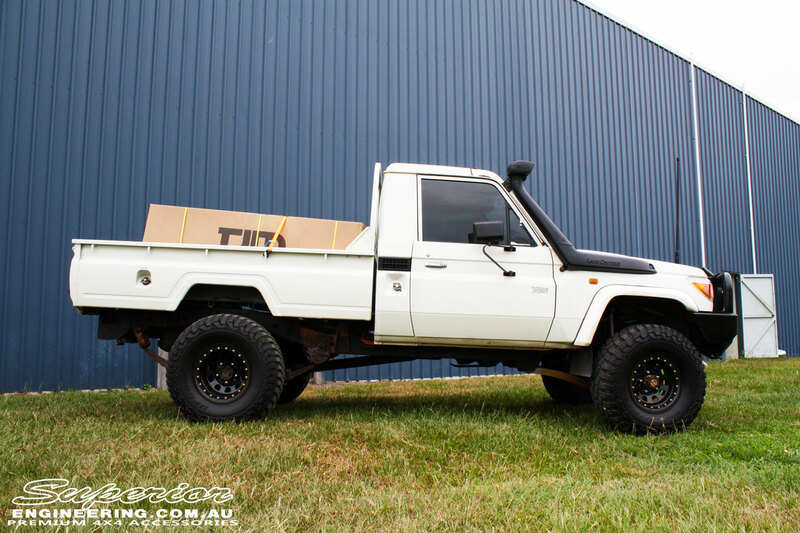 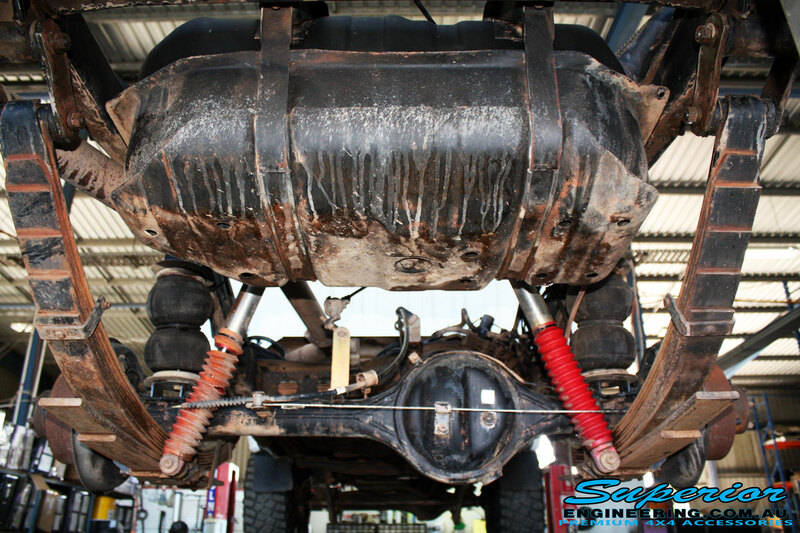 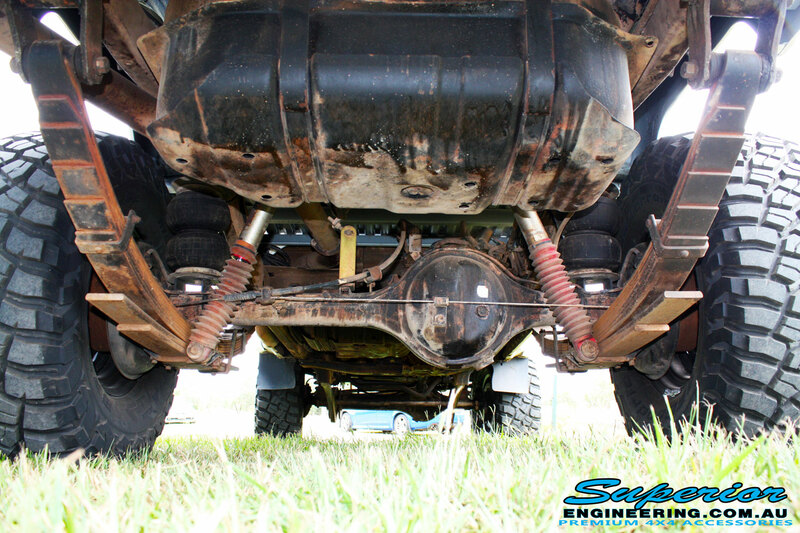 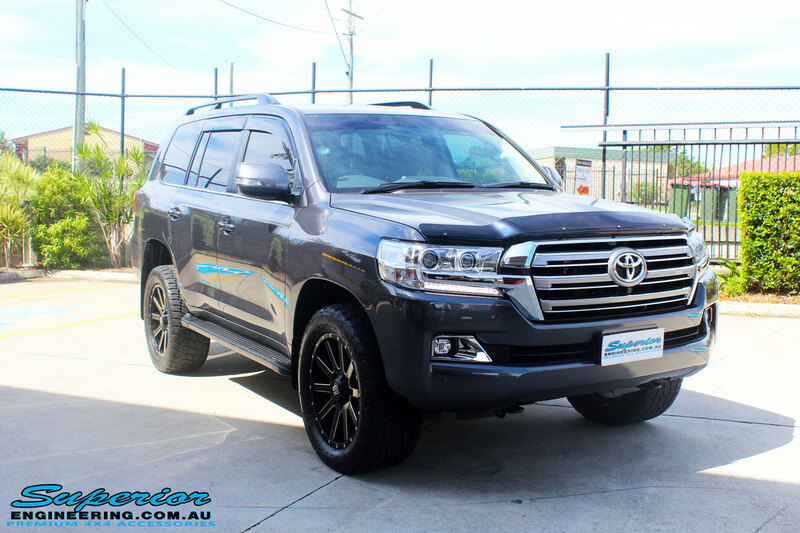 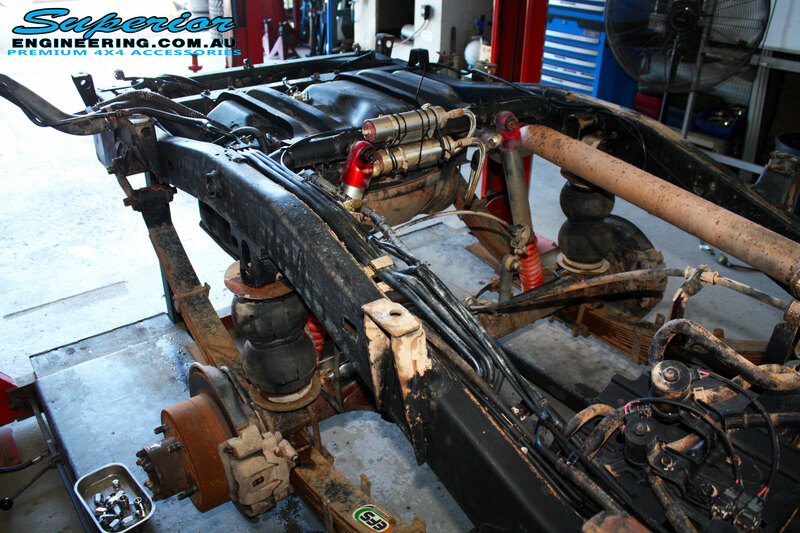 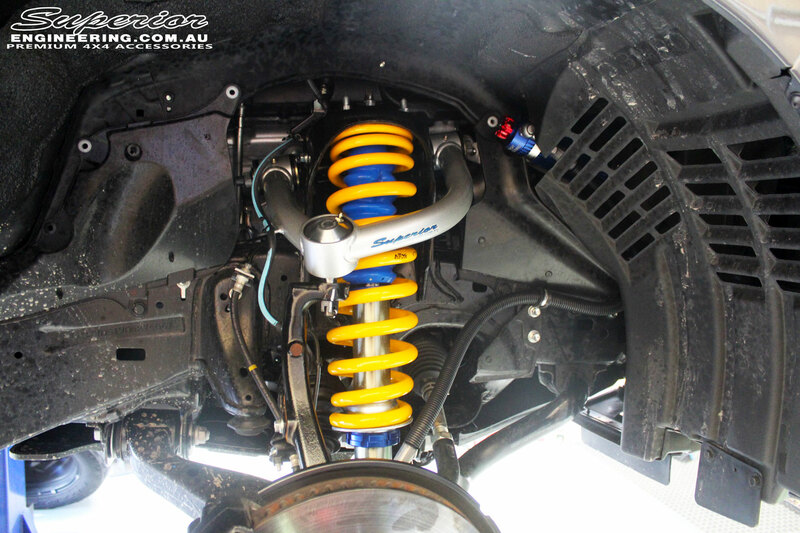 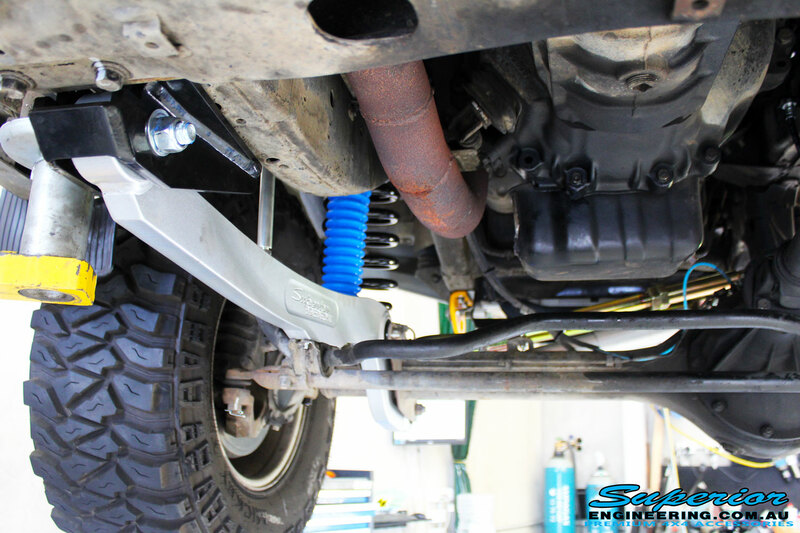 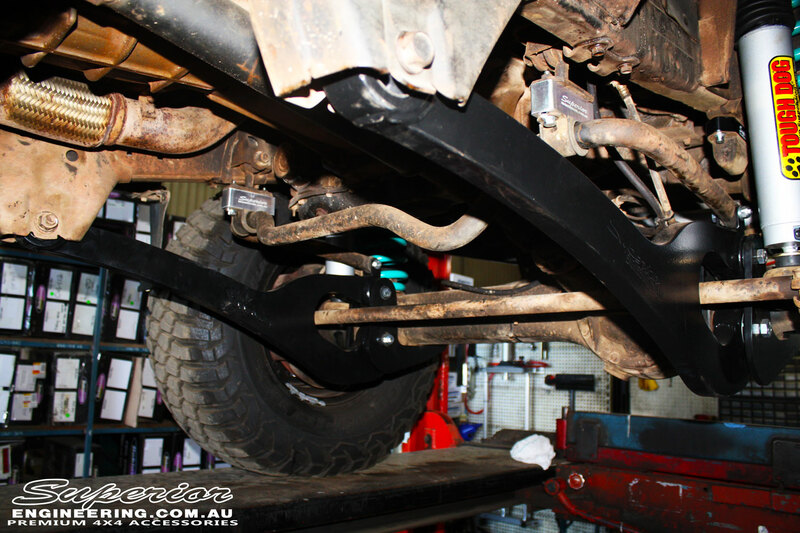 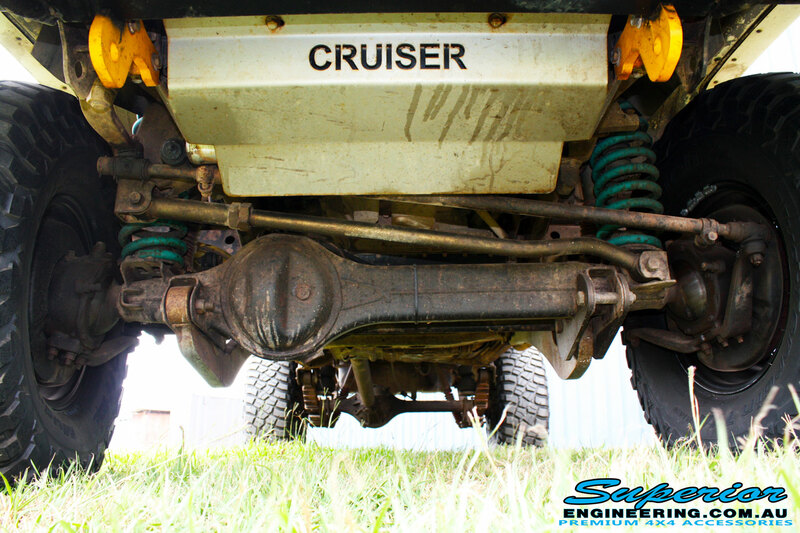 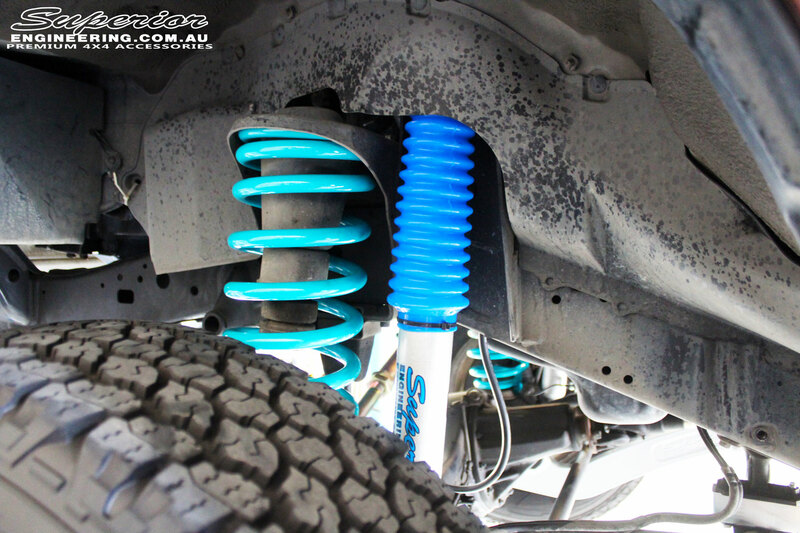 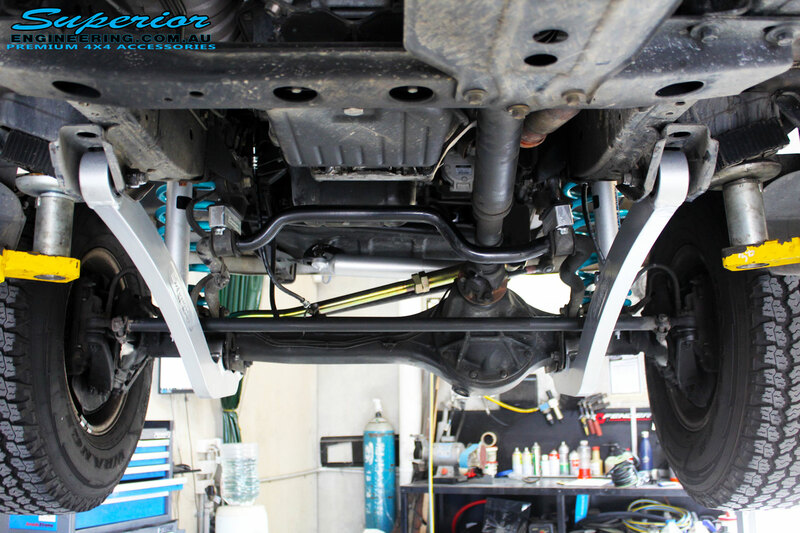 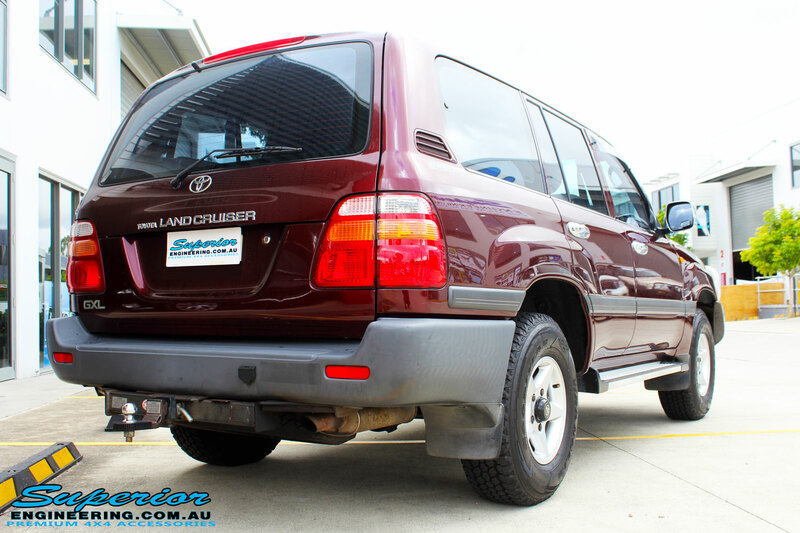 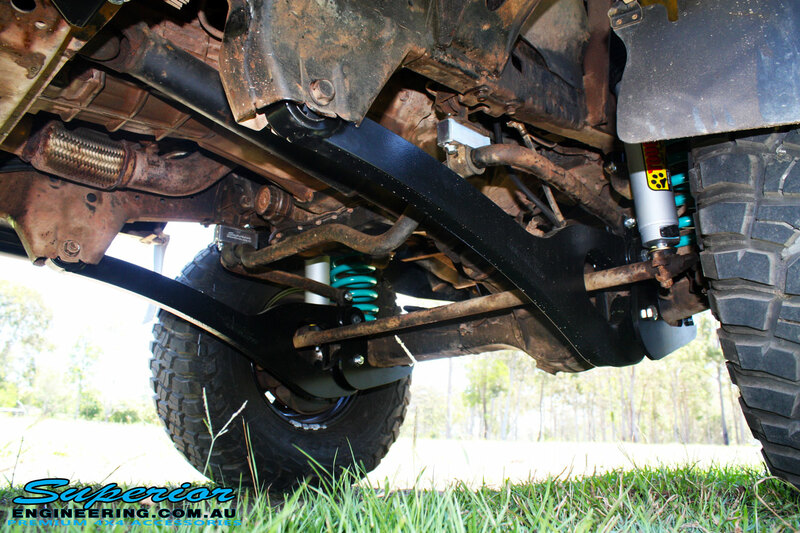 Convert your leaf sprung Landcruiser 79 Series to a more compliant ride and better handling both on and offroad with one of our Superior Engineering Coil Conversion Kits. 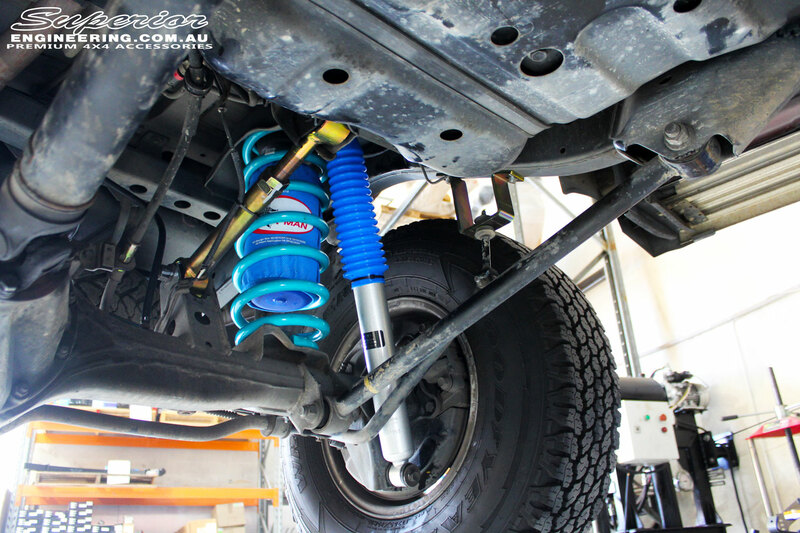 This kit is supplied with everything you need to convert your vehicle from leaves to coils except the coils and shocks, this allows you to run your own selection of coils or shocks. 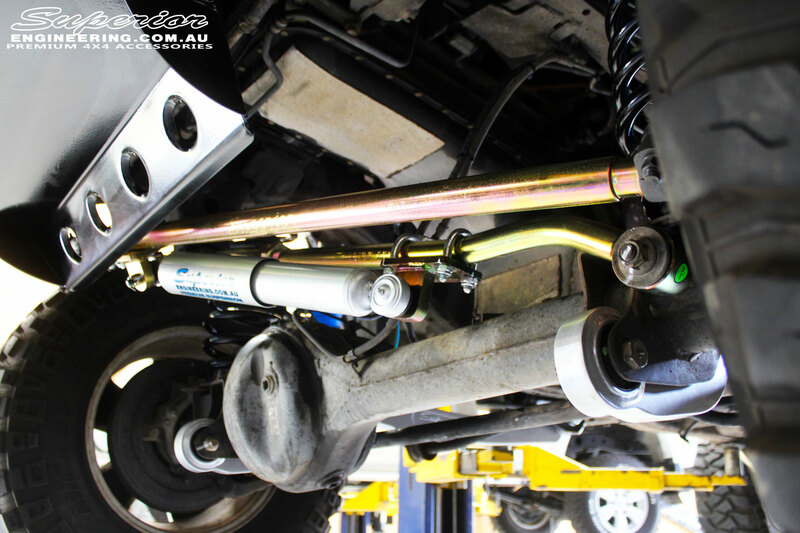 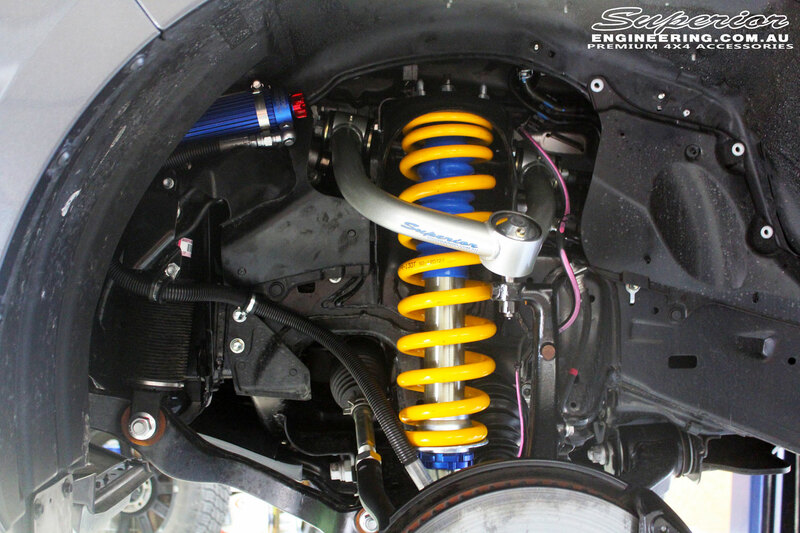 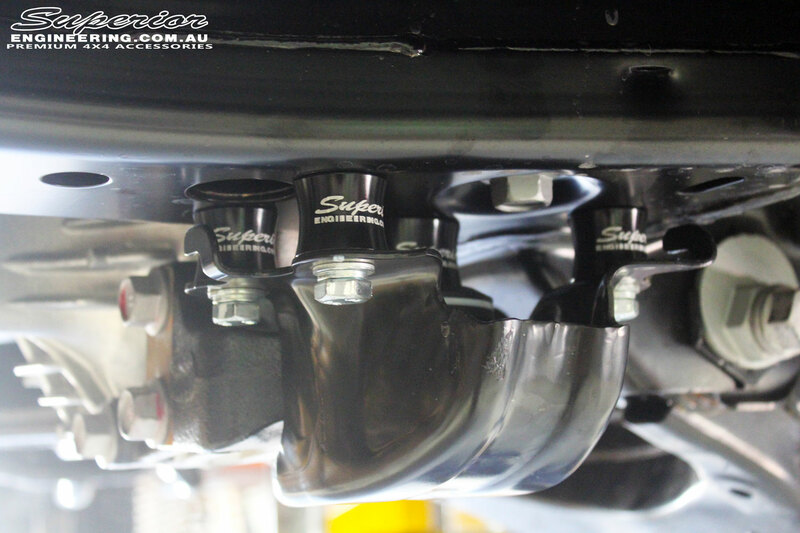 It still includes all other required parts such as all brackets, mounts, control arms, brake lines and swaybar as well. 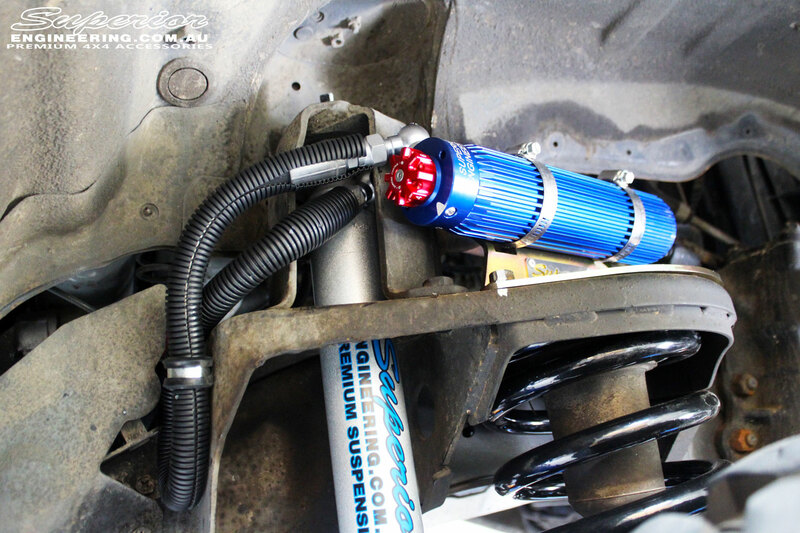 NOTE: The fitted products listed above are optional extras and not part of the coil conversion kit! 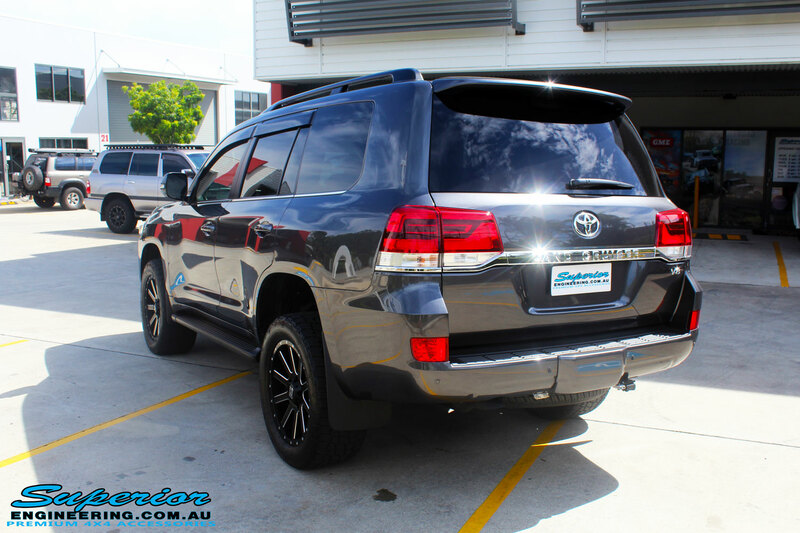 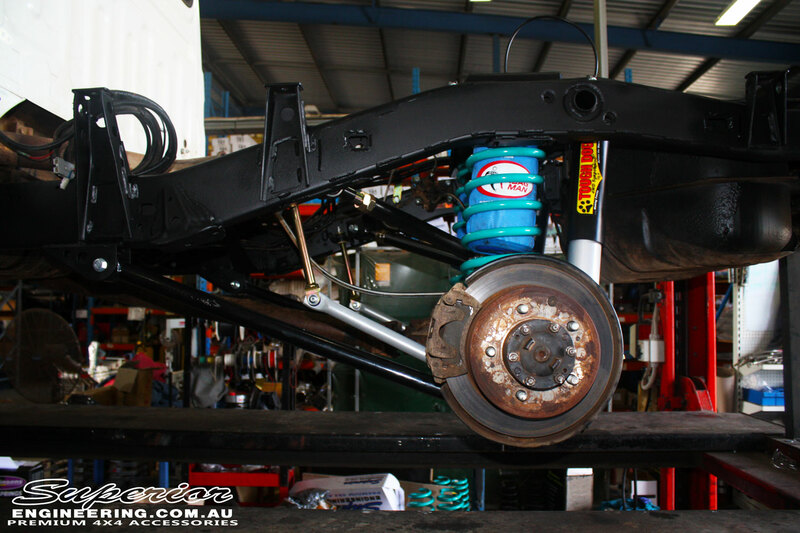 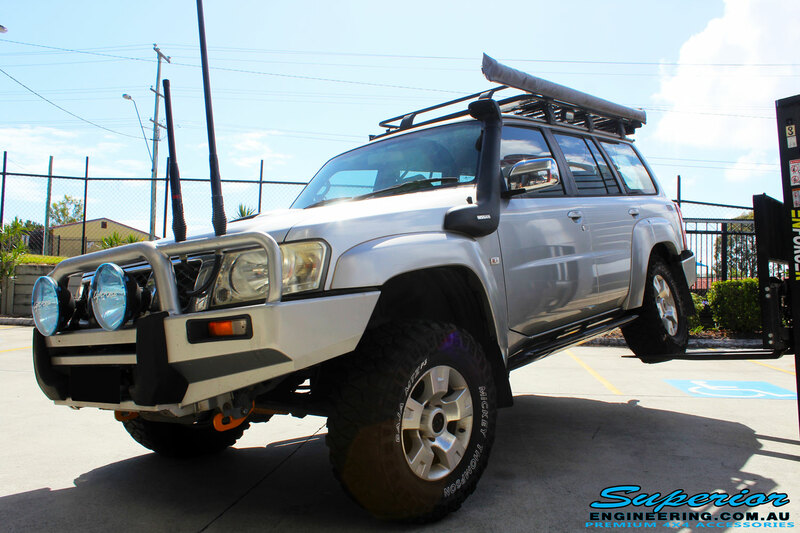 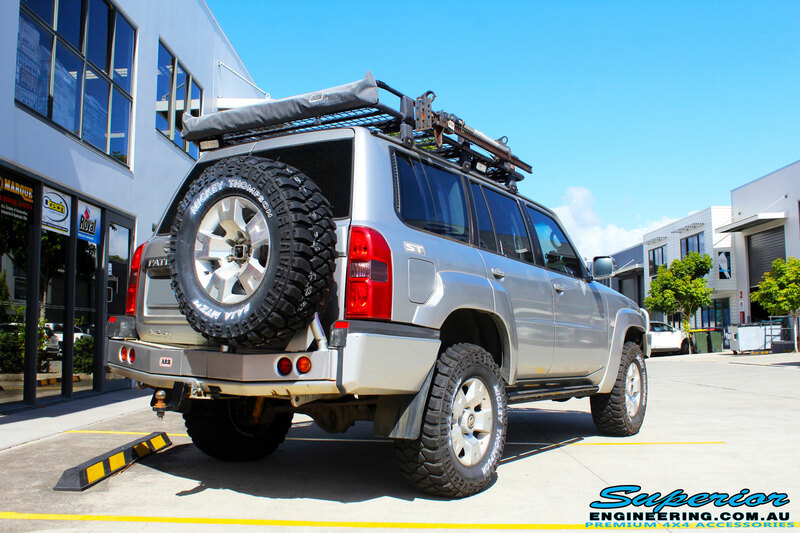 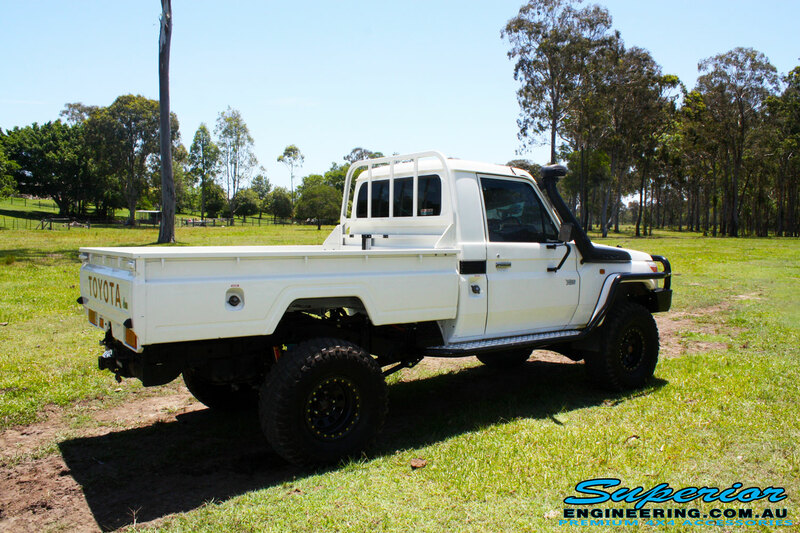 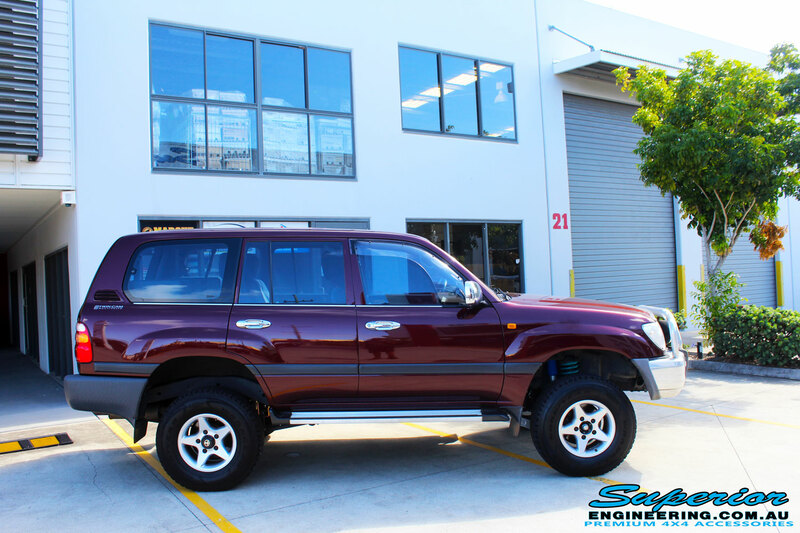 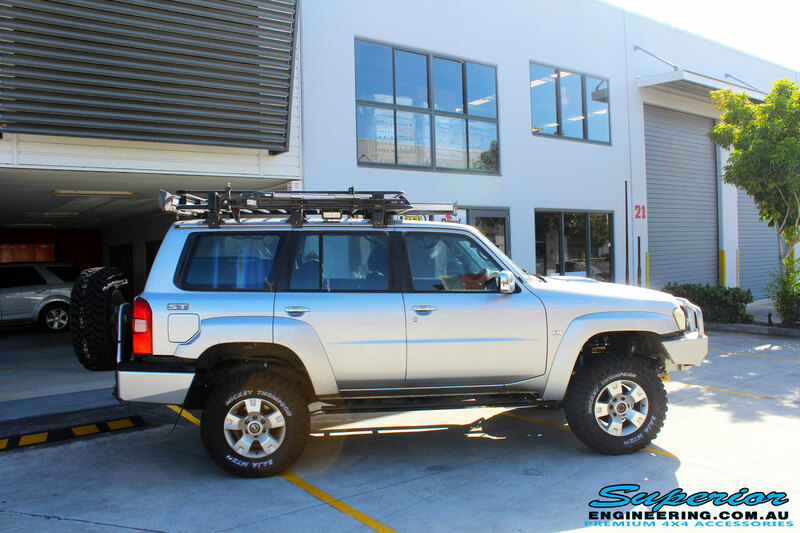 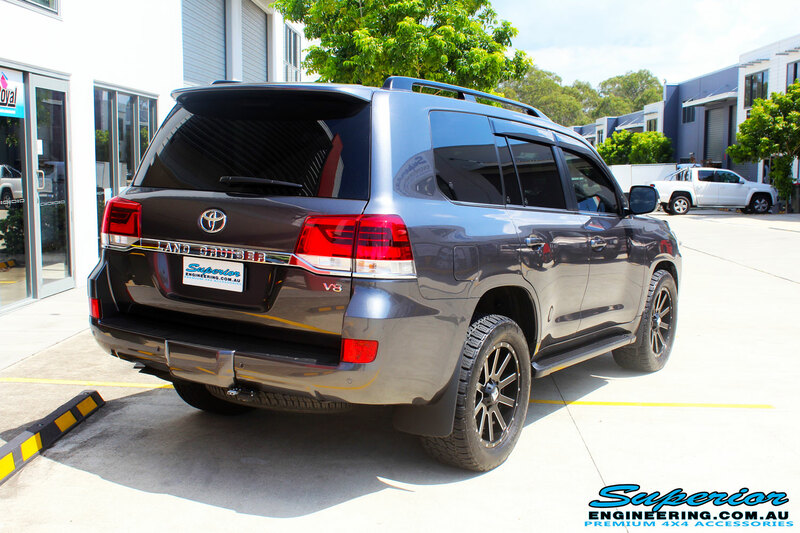 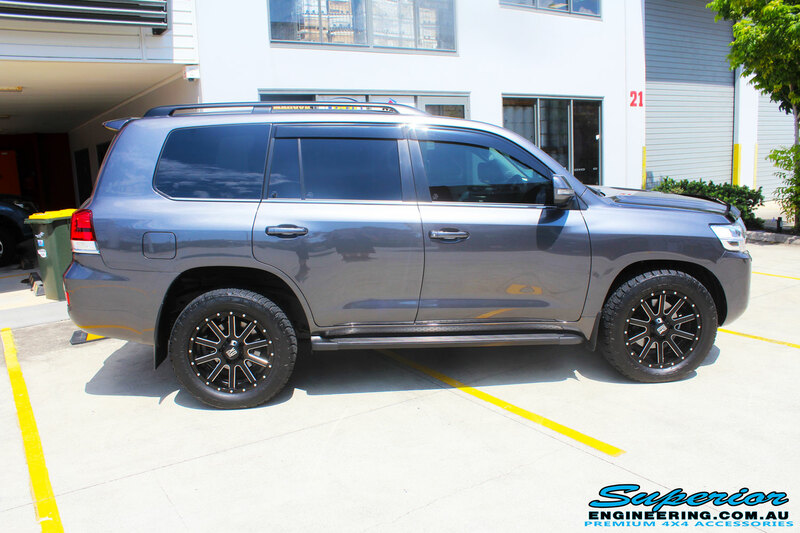 Superior Engineering has put together a Superior Remote Reservoir Hybrid Dropped Radius 3″ Inch Lift with Hybrid Dropped Radius Arms and plenty of optional extras to suit this GU Wagon whilst on the hoist at our Deception Bay Showroom. 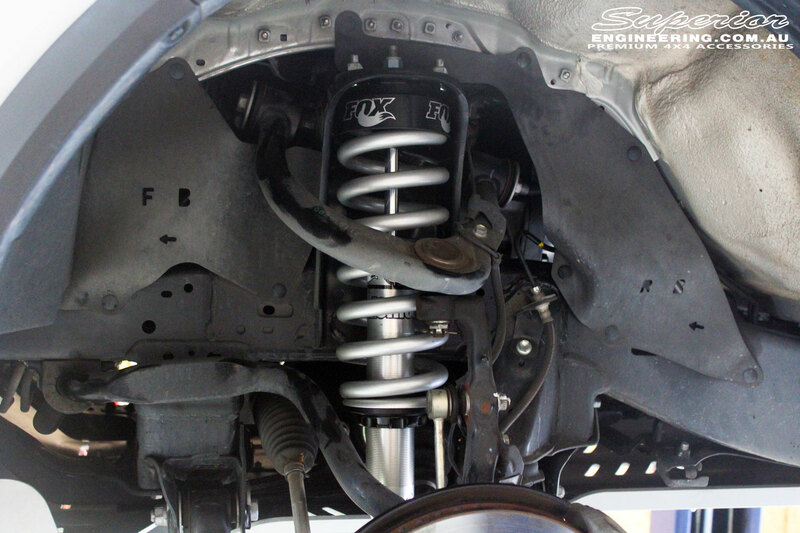 NOTE: These fitted products listed above were optional extras and not part of the Lift Kit!